The Ville de Montréal, in collaboration with ICLEI – Local Governments for Sustainability and the Massachusetts Institute of Technology (MIT) Climate CoLab, just launched an international contest on circular economy! Cities are at the center of global economic growth, and account for 70 percent of global greenhouse gas (GHG) emissions (Paris City Hall Declaration, 2015). The main factors influencing GHG emissions in urban areas include activities at the heart of the urban economy and consumption habits of citizens (UN-Habitat, 2016). In order to maintain high economic growth rates, increase productivity and new business investments, while at the same time reduce emissions, the Ville de Montréal and many other cities around the world are working to transition towards a circular economy. 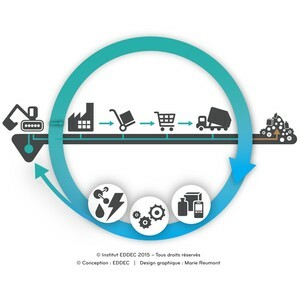 Transitioning to a circular economy at the neighborhood and city-level requires actions to be organized in a way that facilitates the sharing of information and goods, and ensures cohesion between different stakeholders (e.g. municipalities, industries, enterprises, citizens, institutions). As part of the ICLEI World Congress 2018, the Ville de Montréal and ICLEI are seeking innovative solutions that could facilitate the transition of cities and neighborhoods towards a circular economy. Initiatives or best practices that have already been implemented and could be replicated elsewhere. The global community is invited to submit proposals until April 1, 2018! All proposals will receive feedback from leading experts. For details and to enter, click here. The author of the Judges’ Choice Award winning proposal will be invited to present his/her solution at the ICLEI World Congress 2018 to be held on June 19-22, 2018 in Montréal (Canada). Flight tickets and conference registration fees for this person will be covered. The Judges’ Choice Award Winner will also be invited to join a side-meeting with Montréal City staff and external stakeholders to further discuss this solution. For more details on prizes, click here.